Go Bake or Go Home: 2 delicious variations of Caesar-ish salad dressing! 2 delicious variations of Caesar-ish salad dressing! Here is a real recipe, measurements and all, for my Caesar-Like Salad Dressing which I blogged about earlier this month. At the time, I was just so excited about the dressing that I could not wait to figure out measurements before sharing the love with you. I just had to get the ingredients to you straight away. I'm so excited to have finally recorded them for you (and me). Now we can be sure to enjoy it for years and years to come! 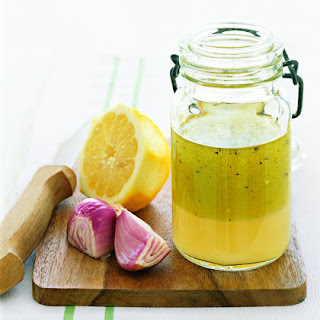 I've also included the recipe that originally inspired Caesar-Like Salad Dressing : Lemony Caper Dressing. The later has been kicking around my kitchen for years! It was in need of a mini makeover, which is just what I did! PS : The dressing is meant to be a little on the thicker side. It also works well as a veggie dip! If you prefer a thinner dressing just thin it out with a little water or more oil. My greens of choice to accompany either one of these dressings is a mix of romaine lettuce, sunflower sprouts and baby arugula. Thinly sliced white button mushrooms are pretty as well as tasty. Make some delicious olive oil and garlic croutons to toss into you salad. Sprinkle a little vegan Parm over your salad. Top your salad with some Tempeh or Coconut Bacon.